Harrogate-based Pinpoint, who will be exhibiting and speaking at eCommerce Show North, has become one of a select band of agencies to be named a Registered Magento Partner. Acceptance onto Magento’s Partnership Program requires a company review to ensure that customers are receiving the highest standards in Magento development. 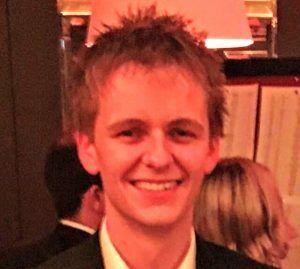 Lewis Sellers, Pinpoint's managing director, said: “We’ve been involved in the Magento community for a number of years and we’re really pleased to become a recognised Solutions Partner. "We invest heavily in our team so that they have the ability to become certified in the platform, and in turn this means we can ensure that our all our clients receive uncompromising technical quality on each and every one of our projects. Pinpoint will continue working closely with the platform in order to progress through the Partner Program. 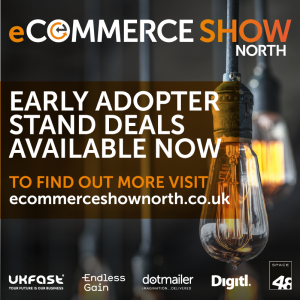 Pinpoint will be exhibiting later this year at the eCommerce Show North, a two-day expo that will take place at Event City in Manchester on October 11th and 12th. UKFast is the headline sponsor of the event and Endless Gain, Space48, Digitl and dotmailer are on board as event partners. It will be an unmissable event for all those with a connection to the eCommerce sector, from CEOs, CMOs and MDs to heads of digital, developers and technical managers. To find out how your business can get involved in eCommerce Show North as an exhibitor, sponsor or partner, or to discuss anything expo related, please contact Martyn Collins on 07764 406873 or by emailing martyn@prolificnorth.co.uk.